I don't get a whole lot of opportunities to talk skincare IRL, so I make the most of the times I do. I was immersed in one of those glorious moments not too long ago and was shocked (to my core, even) when a friend mentioned that she 'just didn't get the point of sunscreen year round.' The horrors of such a statement left me feeling a little light headed and that I had failed miserably as a blogger. How could such awful words come of out someone I know? 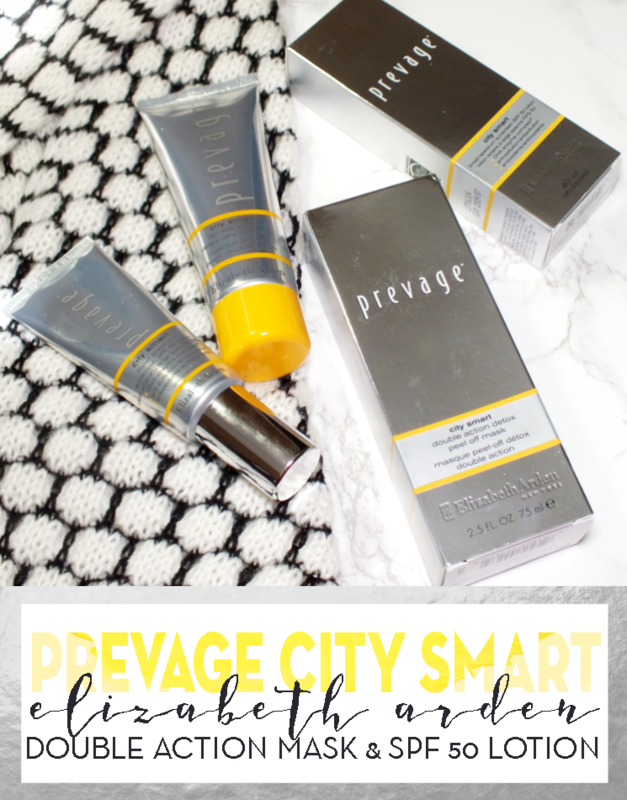 The Prevage City Smart range is all about (as the hashtag says) outsmarting the city by way of protecting skin from pollution (aka environmental aggressors) and harmful UV rays. Regardless of where you call home (city or not) the environment at large want to age you. The mask works in the first aspect, as it detoxifies skin both immediately and for the long-term. The honey-like liquid mask works with smart polymers that lift away dirt, oil, and general gunk from skin to gently resurface, and over time promote skin's natural detoxification system. When you peel the mask off (a way too satisfying action) skin instantly feels plumped and smooth, pores look refined and tone is brightened. Okay, back around to the crucial element of sunscreen. 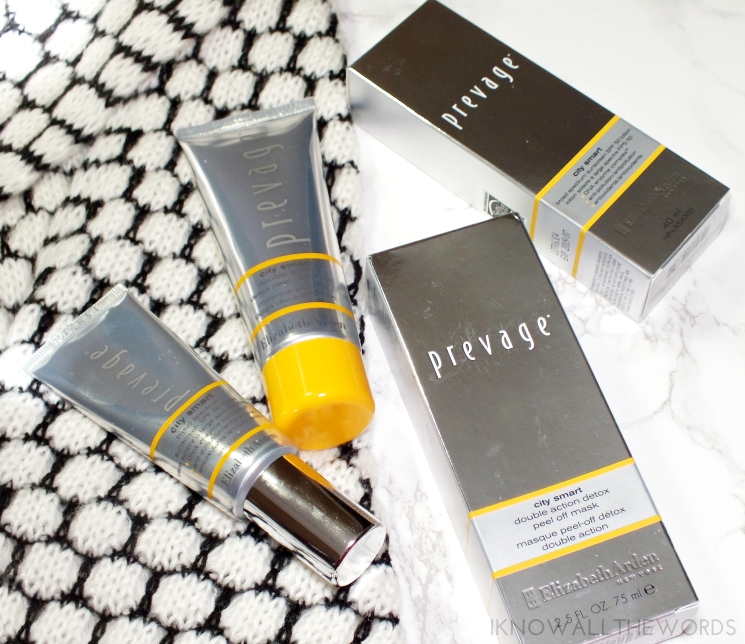 The Prevage City Smart Broad Spectrum Sunscreen SPF 50 is more than just your basic sunscreen though. 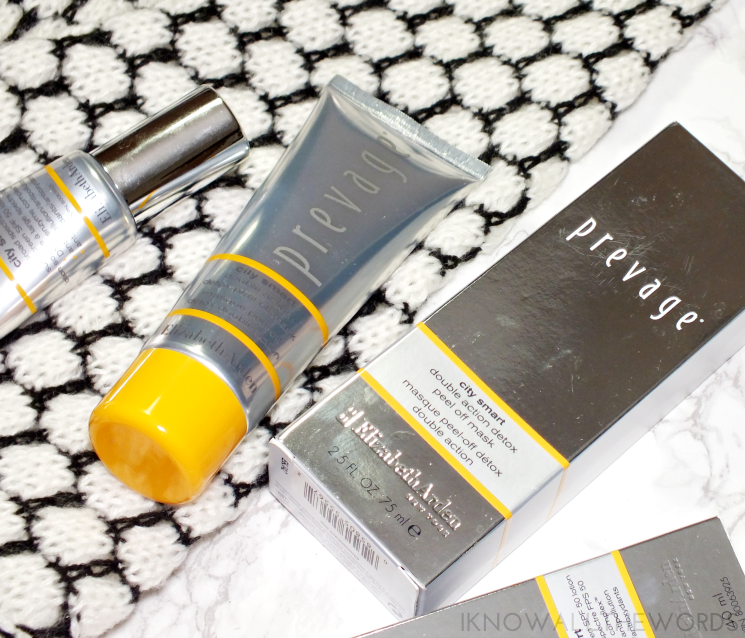 It's designed with an added anti-aging element, as it is the first product to shield skin from both the sun and pollution. Neat, right?! We all know free-radicals are ick (only technical skincare talk here, people) and that they aid in ramping up aging process. Not something anyone wants, clearly. By way of a DNA Enzyme Complex and a powerful antioxidant blend, this sunscreen blocks the suns rays (SPF 50!) and skin dulling pollution while improving skin. The light-weight cream has a whisper of tint and provides a hydrating, light feeling, natural finish free of any white cast. On first use, I was not immediately a fan of this as it felt sticky when I massaged it in, but the tackiness didn't last. Skin is left feeling smooth and ready for makeup- I don't find this has enough tint to wear on its own like a BB. 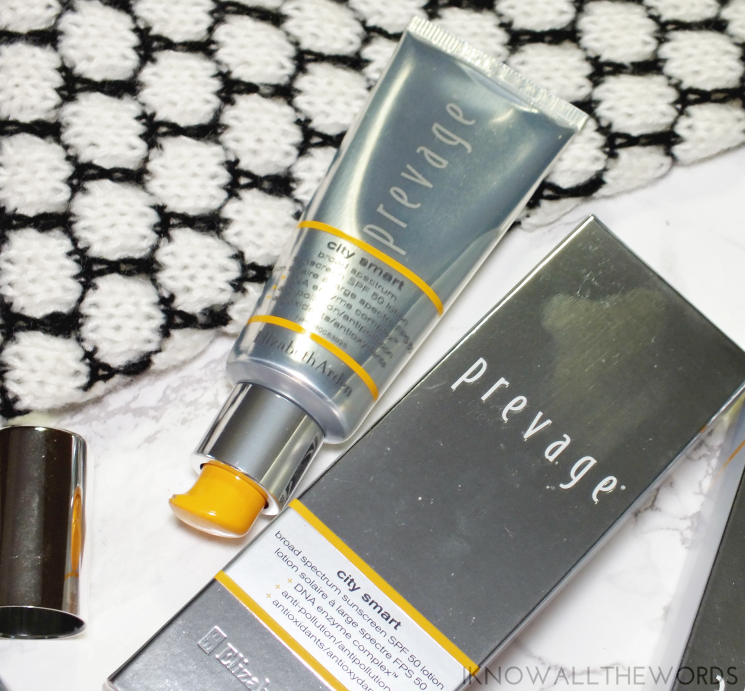 Overall, I've been quite impressed with both of these products. With SPF being a daily item, I appreciate that the higher level sees me through every season. The mask brings a little fun )you know you love a peel-off too) that actually works a little magic. What do you think? Could your routine use wither of these products? Tried them already?